2draw.net - boards - Beginner - Hair? 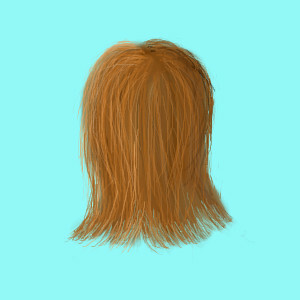 Ok hair people.. tell me what to do..
Give it two googly eyes and change the title to 'Cousin It'. Looks great the way it is. Yea staci's tutorial is great.. Ill keep practicing..
Danny hit it right... Just darken up the base color a little more and there ya have it :-) This is pretty good, pops! Does look really nice Poppa. Hair's always been hard for me.